Thanks to a close and exclusive working arrangement with Hard Metal in recent years, the development of the EHWA product has allowed CBN wheel sets from this advanced Korean manufacturer to become a growing force in the medical industry. Already the company has delivered design refinements and carbon fibre technology to further reinforce their increased presence in femoral grinding and specialist applications in a cross section of industries. 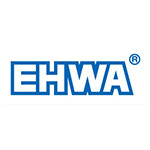 Company profile EHWA was established in Seoul, Korea in 1975. Through creative research and development EHWA has become a global leader in diamond tool manufacturing. Together Hard Metal & EHWA continue to develop the product range and create opportunities for this advanced and innovative product.